Amazing, isn't it? You're on equal footing with multibillion-dollar TV and movie producers. 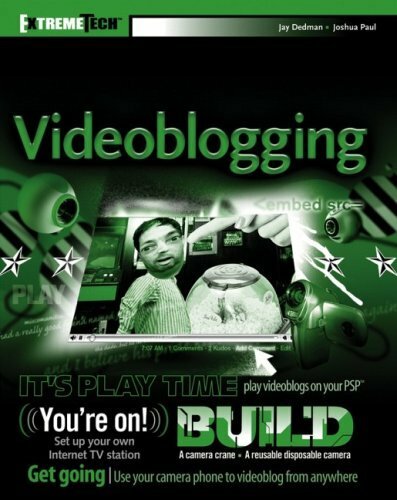 Videoblogging lets your audience see your cause, your story, and your personal creations -- and can be distributed to anyone with Internet access. Since the videoblogging community is all about sharing, more than 20 experts have kicked in tips and ideas to make this book the ultimate videoblogging crash course. So head for the checkout, grab fresh batteries for your video camera, and let's get started! * Choose your video's style and message. * Create great-looking videos inexpensively. * Edit like an expert. * Host your video online, for free. * Secrets of distribution and syndication. * Subscribe to other videoblogs. * Tagging, tracking, and making money. * Get involved in the community.